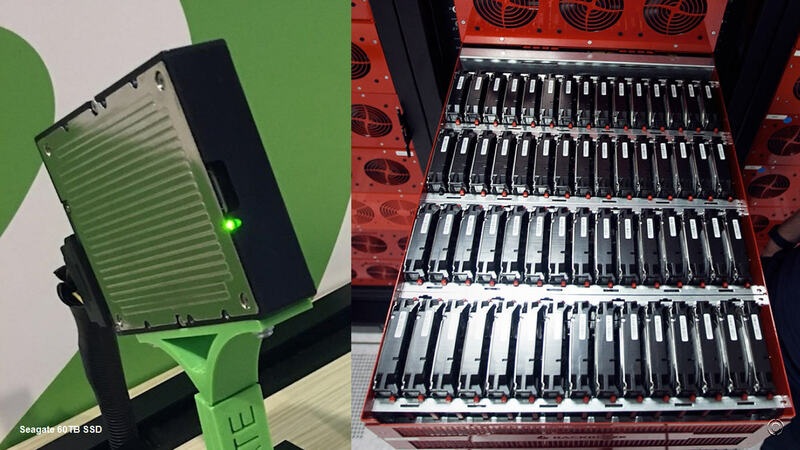 Seagate Technology plc (NASDAQ:STX) announced today at the Flash Memory Summit conference two new flash innovations that extend the limits of storage computing performance in enterprise data centers to unprecedented levels. The new products include a 60 terabyte (TB) Serial Attached SCSI (SAS) solid-state-drive (SSD) — the largest SSD ever demonstrated — and the 8TB Nytro® XP7200 NVMe SSD. These two new products represent the high performance end of Seagate’s Enterprise portfolio – a complete ecosystem of HDD, SSD and storage system products designed to help customers manage the deluge of data they face and move the right data where it’s needed fast to meet rapidly evolving business priorities and market demands. Seagate will demonstrate the 8TB Nytro XP7200 NVMe SSD and 60TB SAS SSD — in addition to the recently announced enterprise products including the 2TB Nytro XM1440 M.2, the Nytro 7102 PCIe AIC and the Nytro 1230 SATA SSD — in booth #505 at the Flash Memory Summit 2016 conference.